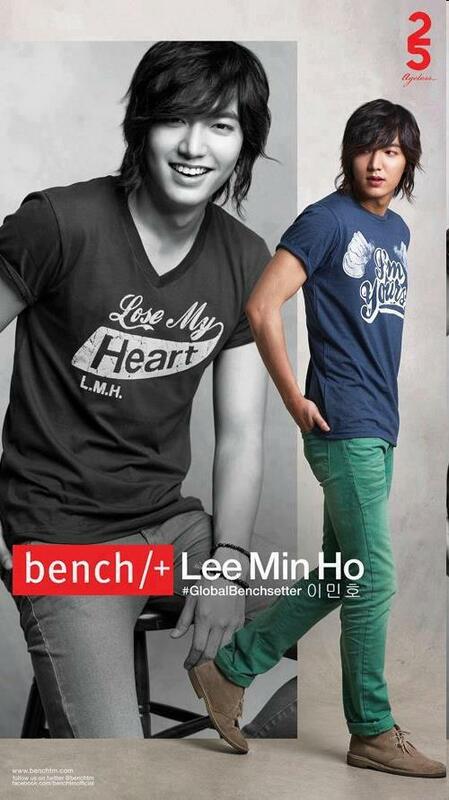 Korean heartthrob Lee Min Ho is the newest endorser of the global clothing brand Bench. He is set to visit the country this November for the clothing line's Fan Setter happening in the SM Mall of Asia Arena. Lee Min Ho becomes popular in the country after leading in the hit Koreanovelas like "Boys Over Flowers," "Perfect Match," and "City Hunter."